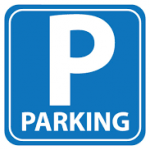 CAR PARKING PERMITS – CLAMPING WILL COMMENCE AT GLASÁN STUDENT VILLAGE FROM MONDAY 26TH SEPTEMBER. IF YOU HAVE A CAR THEN PLEASE ENSURE THAT YOU REGISTER FOR A CAR PARKING PERMIT ASAP, OTHERWISE YOUR CAR WILL BE CLAMPED. IF YOU HAVE A GUEST CALLING TO YOUR HOUSE / STAYING OVERNIGHT WHEN THE VISITOR BAN HAS BEEN LIFTED THEN PLEASE ENSURE THAT THEY GET A CAR PARKING PERMIT FROM RECEPTION, OTHERWISE THEY WILL BE CLAMPED ALSO. All residents need to complete an online account by logging onto https://permits.apcoa.ie/, whereby you can have 3 vehicles listed but only one is active at any one time. This will allow you to log into their online account at any time and change your vehicle details, if for example if they changed their vehicle over the course of the year or had a temporary vehicle at any time. All residents need to ensure the vehicle they have on site is set as active on their online account or they will be liable to be clamped. All online applications will be issued to reception for approval to ensure only residents have applied for permits. Once approved, APCOA will issue an email confirming your permit is now active as they will not be covered until approval has been confirmed. Please put in your Glasan Address and not your home address when registering for the parking. Any visitors bringing a vehicle will have to obtain a visitor permit from our office during office hours and pay the appropriate fee of €5. 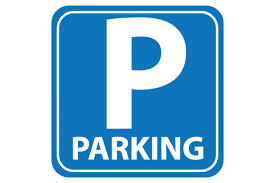 Please note that residents / visitors are not allowed to park in front of the commercial area / crèche, if you park there and you have a permit you will still be clamped. These areas are not for resident / visitor parking.